The Age Diversity Forum is the central hub to enhance and sustain impact through improved awareness, engagement and coordination of widening participation, and diversity and inclusion information and initiatives. Through events, on-line and digital networks, we enable members to share challenges and opportunities, so they may become more effective and improve awareness across all sectors. The Age Diversity Forum provides members with support by sharing expertise, advice and providing training and networking opportunities. 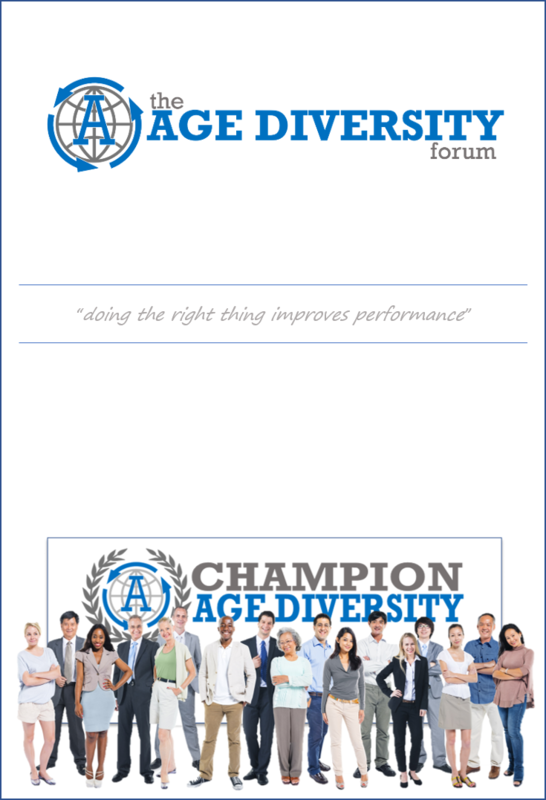 We promote best practice and work with organisations to set and influence age diversity policy. With our members, we aim to facilitate an improved awareness and understanding of barriers to broader participation, to actively promote culture change through membership, collaboration, events, workshops and forums. We address factors to widening participation and diversity and inclusion challenges, from early contact, through to employment, retention, redeployment and outplacement. For more information about how you can benefit from membership, please download the ‘Champion’ pack by clicking the front cover to the right, and contact us.